The alley was icy and it had been raining during the evening of December 6, 1926. The soles on the shoes of the dead man sprawled across this alley, however, were dry. Chicago Police Captain Dennis Carroll immediately recognized that the dead man had not slipped and fell, fatally hitting his head and fracturing his skull on the ground. Rather, it appeared more likely that the man was murdered and his body dumped and displayed in such a manner as to suggest an accidental death. The dead man in the alley was soon identified by police as William Lindstrom. Lindstrom's dumped body was discovered. where the body of William Lindstrom was discovered on December 6, 1926. What occurred that miserable evening to result in William Lindstrom's body to be dumped in the alley behind 2120 Huron Street in Chicago? The investigation conducted by the Chicago Police Department uncovered a plot among three individuals that involved the collection and distribution of insurance money upon the accidental death of William Lindstrom. The story of Lindstrom's murder begins with Catherine Marie (Morris) Cassler. Catherine was the daughter of Jacob "Jake" E. Morris and Louise "Lu Ella" (Scott) Morris. Jake and Lu Ella were married in Tippecanoe County, Indiana, on September 20, 1890, Jake being 22 years old and Lu Ella being 16. Catherine was born the following year on July 3, 1891, in Lafayette, Tippecanoe County, Indiana. Little is known of Catherine's early life. It is known that hers parents divorced when she was quite young. After the divorce, Catherine's mother married John Freeman McAninch in 1896 in Chicago, while her father married Jennie (Berkshire) Cockrell Morris in Allen County, Indiana. 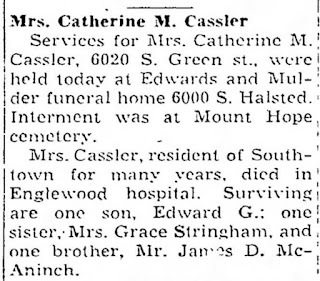 Catherine had at least one sister, Grace M. (Morris) Stringham [b. 1893, d. 1962], two half-brothers, Joseph John "Joe" McAninch [b. 1898, d. 1923] and James Daniel McAninch [b. 1906, d. 1987], and at least three step-sisters, Ethel May (Cockrell) Hess [b. 1892, d. 1920], Nellie J. (Cockrell) Mason Zickon [b. 1893, d. 1955], and Fern D. (Cockrell) Scholz [b. 1898, d. 1947]. ... the full Christian name and surnames, residence, color, occupation and birthplace of their parents, including the maiden name of the mother, together with such other facts as may be necessary to determine whether any legal impediment to the proposed marriage exists. Fourteen year old Catherine Marie Morris married 22 year old Truman Charles Cassler on September 16, 1905, in Tippecanoe County, Indiana. 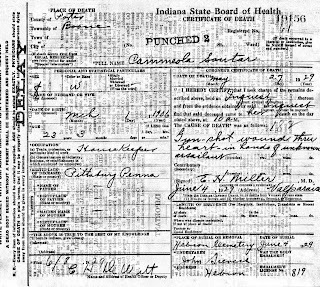 At that particular time, marrying at the age of 14 in Indiana was forbidden by law, so apparently Catherine lied about her age, as the marriage record clearly indicates that she wrote that she was born on July 3, 1885. Thus, when Catherine married Truman, she was representing herself as a 20 year old woman rather than a 14 year old girl. Catherine, her husband Truman Cassler, and their son Edward formerly resided in Chicago for many years. In 1924, Catherine and Truman purchased a small cottage home located in Hebron, Porter County, Indiana. Truman was born in 1883 in the small community of Burdick, east of Chesterton in Jackson Township, and later resided in Pleasant Township after his father passed away when he was sixteen years old. Thus, the Cassler's move to Porter County was somewhat of a "homecoming." Truman remained employed by a moving company in Chicago when the family moved to their cottage home in Hebron. He would stay in Chicago over the work week and then return home to Hebron on the weekends. Also taking on a major role in the story of the man found murdered in a Chicago alley is Loren Patrick. Loren was born near Hebron in Boone Township, Porter County, Indiana, in 1882. He and Truman were about the same age and may have known one another when they were in school. Loren resided with the Cassler family when they moved to Hebron. He assisted the Cassler's about their house and garden, cared for the family's chickens, and sold eggs. He would also drive the family's automobile. Loren was temporarily employed by neighbors and occasionally worked at the grain elevator in Hebron. On May 30, 1925, Loren and Catherine Cassler were arrested at Catherine's Hebron home by Porter County Sheriff William B. Forney on a charge of bootlegging. Five quarts of alcohol and one pint of kümmel, a sweet liqueur flavored with caraway seeds, cumin, and fennel, were found in the Cassler home. Catherine, who was an active member of the local Woman's Christian Temperance Union (W.C.T.U. ), claimed that she was working as an undercover agent for federal prohibition agents. Her undercover activities, she stated, explained the presence of alcohol in her home. Sheriff Forney, however, had discovered evidence that she was in fact double-crossing federal agents. Following her arrest for bootlegging, Catherine was tried in the Porter Circuit Court before Special Judge George E. Hershman of Crown Point. John J. McGuire served as Catherine's defense attorney. 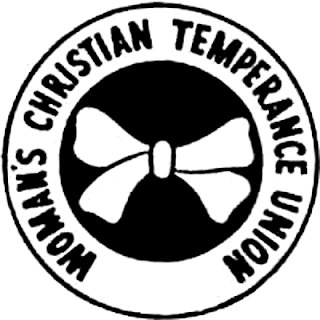 Interestingly, Hebron resident Capitola L. (Merriss) Dilley, the President of the Porter County W.C.T.U., and Reverend A. T. Neblung appeared on Catherine's behalf. Both individuals testified that they were convinced that Catherine was working as an undercover Prohibition agent. Evidence countering their claim must have been overwhelming, however, as Catherine eventually pleaded guilty and was sentenced to six months at the Indiana Women's Prison located in Indianapolis and fined $200. Loren Patrick was also tried for bootlegging. After posting a $1,000 bond, he disappeared and did not show for his hearings. Eventually, Loren was found, convicted, and sentenced to two months incarceration at the Indiana State Penal Farm at Greencastle in Putnam County. Indiana, in 1925 and served six months in prison as a result. On November 19, 1926, the Cassler family moved to nearby Crown Point, Lake County, Indiana, where they rented a house; Loren Patrick moved with them. The family explained that they had moved from Hebron to Crown Point because they believed that Crown Point afforded their son Edward a better education and it was much more convenient for Truman to travel to and from Chicago for his employment. When she was residing in Porter County, Catherine Cassler had become an acquaintance of Lillian Gray, who later became the wife of Joseph C. Fraser. Lillian and Joseph later moved to Chicago and kept a boarder, the boarder's name was William Tunyea. William was employed as a cabinet maker and furniture finisher in Chicago. At some point William and Lillian became intimate, and in October, 1922, they moved out of the Joseph C. Fraser home and set up their own household. William also took on an alias, changing his name to William Lindstrom, and he and Lillian represented themselves to others as a married couple. William and Lillian appear to have moved several times to locations on the west and south sides of Chicago. 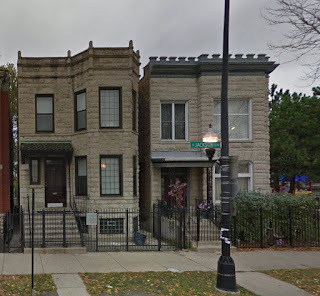 The couple had separated for a brief period in July, 1925, and upon reconciling moved into a basement apartment located at 2114 West North Avenue in Chicago. While living with William, Lillian secretly met her husband, Joseph, three or four times a week on various street corners. While living at 2114 West North Avenue, Lillian told Joseph that she had "grown tired of William" and that she wanted to leave him. She had also written a letter to her friend Catherine Cassler asking her to come for a visit; Catherine complied with Lillian's request. During the visit at Lillian's home, Lillian asked Catherine how she could be freed from Lindstrom. Catherine reportedly replied that "Between the two of us we ought to find a way." Catherine left and at some later time returned to visit Lillian. Catherine had brought along a package on this visit that she said contained poison. She informed Lillian that the poison should be put into Lindstrom's food. Lillian never opened the package. Cassler later asked Lillian whether Lindstrom's life was insured. He was insured and Lillian was the beneficiary. Catherine then told Lillian that she knew of a man who, for a few hundred dollars, would be willing to kill Lindstrom. Lindstrom's death would be made to appear as an accident so that the insurance funds could be collected. The man Catherine was referring to was her hired man Loren Patrick. Loren Patrick and Lillian met to discuss various plans that could be employed to murder Lindstrom so as to collect on the insurance. One plan involved hiring a taxi cab. William and the cab driver would then be shot to death, both bodies placed into the cab, and the cab driven to a railroad crossing to be struck by a high speed train. Lillian did not approve of this plan and it was abandoned. A second plan to murder Lindstrom involved Loren striking him in the head with an lead pipe in Lillian's apartment. Lindstrom's body would then be moved and placed under an elevated railway structure to make it appear that he had been fatally struck by an automobile. This plan was almost carried out, but Lillian did not follow through by releasing Loren from the pantry in her apartment, where Loren had been hiding, at the opportune time. Between 4:00 and 4:30 pm on December 6, 1926, Lillian met with Loren Patrick in Loren's automobile outside her apartment. Loren insisted that the plot to murder William Lindstrom should be carried out that evening. Reportedly, Lindstrom had wanted to sell some of his furniture. Loren devised a plan whereby he would represent himself as a farmer from Michigan who had sold his farm, moved to the Chicago area, and was in the market to purchase furniture to outfit his new living accommodations. Lillian exited Loren Patrick's automobile and returned to her apartment. Here, she gave Lindstrom the evening newspaper to read. She then left the apartment to meet with Loren and Catherine Cassler to further discuss their plot to kill Lindstrom; it appears that the plan was finalized at this meeting. apartment complex by Hebron, Indiana, resident Loren Patrick. Lillian once again returned to her apartment. However, Alvie Grigolini, the son of the building's janitor, was present in the apartment upon Lillian's return from visiting with Lindstrom. During Grigolini's visit, Loren Patrick had called Lillian's apartment; Lillian informed him that she had company and was not taking additional visitors. Grigolini left the Lindstrom apartment around 9:30 pm. Loren called later stating that he like to visit to inspect some furniture for possible purchase, and Lillian granted his request. At approximately 10:30 pm, Loren arrived at the apartment and Lillian let him inside. Upon viewing the furniture for sale, William Lindstrom asked Loren Patrick, a complete stranger to him, if he was interested in purchasing pieces of furniture or all of the furniture he had for sale. Loren responded that he wished to purchase all the furniture, but that he would need to bring his wife by the apartment to see it the following morning. Lindstrom then proceeded walking down a hallway and Loren followed him. At this time, Loren signaled to Lillian to give him the lead pipe, which she did, and he hid the pipe under his overcoat. Lindstrom then showed the furniture to Loren, starting first in the bedroom and then to a workshop he had set up in the apartment. Afterward, William and Loren went to the living room and then finally to the bedroom where William wanted to show Loren a small commode he was selling. The top drawer of the commode was stuck. As William bent over to open the drawer, Loren struck him over the head with the lead pipe. William slumped to the floor dead. Lillian asked Loren where Catherine Cassler could be found. Loren replied that Catherine was waiting in an automobile a few doors west of the apartment. Lillian walked to the automobile, found Catherine, and informed her that the plan to kill William Lindstrom had been carried out. Catherine and Lillian returned to the apartment where Catherine told Loren to drive the automobile to the rear of the apartment building. Loren did as he was requested and then went back into the apartment. Catherine stated that Lindstrom's body should be removed since it was getting late. Loren covered William's body with a blanket and, with the assistance of the two women, carried the body out of the apartment building and placed it onto the floor of the his automobile. Lillian gave Loren Patrick the murder weapon and Loren drove away with the body around 11:00 pm. Loren dumped Lindstrom's body in an alley behind a townhouse located at 2120 Huron Street in Chicago, 1.5 miles directly south of Lillian's apartment. issued for William Linstrom [Lindstrom], filed January 3, 1927. Source: Cook County Clerk's Office, Chicago, Cook County, Illinois. The following morning, December 7, at around 5:30 am, Lillian called the police. She told the police that William Lindstrom had left their apartment around 10:30 pm the previous evening to visit a drug store and failed to return. At about 6:30 am, Lillian ventured to the North Avenue police precinct and again reported that William was missing. Upon returning to her apartment, she soon received a telephone call from a police officer informing her that a body had been discovered nearby in an alley. The officer asked Lillian if she would accompany him to view the body at a local undertaking establishment. Lillian agreed and upon viewing of the body identified it as that of William Lindstrom. Lillian was soon released by the police under her promise to return at a specific time. Lillian did not return. Instead, Lillian met her husband, Joseph C. Fraser, on December 9. Joseph had purchased Lillian a railroad ticket to Crown Point, Indiana. Upon reaching Crown Point, Lillian immediately headed for the home of Truman and Catherine Cassler. Nobody was home, so Lillian gained entrance using a skeleton key. Soon Truman and his son Edward arrived home and found Lillian in their house. Lillian remained overnight and was present when Catherine returned home from Chicago the following morning. Lillian and Catherine discussed the trip that Loren Patrick and Catherine made back to Crown Point from Chicago after William Lindstrom's murder. They discussed the disposal of the lead pipe and the blanket, the possibility that fingerprints may be found, the report of William's absence to police by Lillian, and devising a plan so that the murder plot would not be discovered. On December 11, Loren Patrick and the two women drove from Crown Point to the home of Ed Rice in Hebron. Catherine Cassler, an acquaintance of Mr. Rice, introduced Lillian to him as Nellie English, of Denver, Colorado. Catherine told Rice that Nellie's home had burned and that she was seeking employment. Lillian worked for Mr. Rice for one week. Loren visited Lillian four or five times during this week. During one visit, Loren had brought some black material that Lillian could use to retrim a red hat she was wearing the night of the murder. It was hoped that changing the appearance of the hat would reduce the chances of her identification in the involvement of the murder. At the end of one week of work, Lillian returned to Chicago. On December 21, Lillian called upon the North Avenue police precinct to learn more about their investigation into Lindstrom's murder. She was immediately taken into custody. common law wife of murder victim William Lindstrom. What had led police to believe that Lillian Fraser was involved in the murder of William Lindstrom? Upon investigation, police learned that Lillian was the beneficiary of a $7,500 insurance policy on the life of Lindstrom. Eventually, Lillian succumbed to police questioning and admitted to her involvement in the murder. She also snitched on Loren Patrick and Catherine Cassler. Catherine Cassler developed a story that suggested that she was unaware of the murder of William Lindstrom until Lillian had arrived at her home in Crown Point. Loren Patrick, however, immediately confessed to the murder of Lindstrom on December 6 "as a favor" for Lillian Fraser since Cassler had previously assisted Loren in getting out of jail. Loren was reported to be rather nonchalant about the murder, the clubbing death "weighed so little on his conscience, he told police, that he scarcely gave it a thought, save to keep out of the way of the officers." When Loren admitted that he indeed killed William Lindstrom with a lead pipe, he also stated to investigators his motive. Lillian was supposed to pay him $137.50 for completing the task. This $137.50 was to be used by Loren to reimburse Catherine Cassler, who had paid Loren's fine for bootlegging Cassler's liquor in Indiana. The crime immediately found headlines across the nation's newspaper, likely due to the elaborate scheme and the connection to bootlegging during Prohibition. Both Loren Patrick and Lillian Fraser immediately struck a deal with prosecutors. They would plead guilty to the murder of William Lindstrom in order to avoid trial and a highly probable death sentence. The plea deal also required that they testify against Catherine Cassler. Catherine was offered a similar plea deal to avoid a possible death penalty, but she declined to accept it. Catherine Cassler's murder trial began in May 1927 in the Criminal Court of Cook County before Judge Phillip L. Sullivan. Lillian Fraser and Loren Patrick kept their promise to testify against Cassler and detailed the particulars of the crime as outlined above. Lillian also testified that Cassler was a "bootlegger," and Loren testified that he indeed drove an "alcohol truck" to deliver liquor brewed in Porter County, Indiana, to Chicago for Cassler. They planned two or three different ways of getting rid of Lindstrom, but finally it was decided that I should slug him with a heavy lead pipe. I entered the home making believe that I was interested in a new cabinet and Mrs. Frazier [Fraser] handed me the pipe and I struck him over the head. He did not move after the first blow. Then we took his body and threw it along a fence. When William Lindstrom's body was found, Lillian Fraser testified that she initially stated to police that William must have fallen and broken his skull. However, she eventually broke down under police questioning and confessed to the crime. I expected punishment. Not this much however. I am not guilty of the murder, although I will admit being guilty as an accessory after the fact. for killing William Lindstrom for insurance money, May 1927. Source: Collection of Steven R. Shook (Acme Newspictures). Judge Sullivan set the sentencing date for Catherine, as well as those for Lillian Fraser and Loren Patrick, who entered guilty pleas, for June 4, 1927. At the June 4 hearing, however, Catherine's attorneys requested additional time to prepare an appeal for a new trial. The judge granted a continuance and the sentencing date was postponed to June 17. After the hearing on June 17, Catherine's appeal was continued until Friday, June 24. Judge Sullivan rendered his sentence on June 24, quashing the defense attorneys' motions for a new trial. Lillian Fraser and Loren Patrick were sentenced to life in prison. Judge Sullivan followed the jury's recommendation and sentenced Catherine Cassler to hang on October 21, 1927. Judge Sullivan's sentence received broad coverage in national newspapers since no woman had ever been hanged in Illinois. Asked immediately after the sentence was rendered whether she had anything to say, Catherine, in a trembling response, said "No nothing." Meanwhile, the imprisoned Loren Patrick had changed his story and stated that Catherine Cassler had nothing to do with the death of William Lindstrom. Within 24 hours of her scheduled appointment with the gallows, Catherine Cassler's attorneys were able to successfully secure a 60-day stay of execution, which allowed for an appeal to the Supreme Court of Illinois. On December 21, 1927, this court granted a review of Cassler's trial and conviction. In The People of the State of Illinois vs. Catherine Cassler, decided on October 25, 1928, the Supreme Court of Illinois reversed and remanded Catherine's case back to Judge Sullivan's court. Cassler's attorney, William W. Witty, argued that Judge Sullivan had erred in not allowing motions for a new trial. The motions were based on the defendant's claim that Judge Sullivan had allowed "incompetent and prejudicial evidence" to be introduced at trial and incorrectly instructed the jury. Witty also argued that the weight of the evidence against Cassler did not support the jury's verdict. The Supreme Court of Illinois agreed, indicating that there was reasonable doubt as to Cassler's guilt. As a result, Cassler's verdict was overturned. Prosecutors intended to retry Cassler. Lillian Fraser, however, died suddenly on March 24, 1929, at the Illinois State Prison in Joliet. Loren Patrick refused to testify for the state. The case was simply too weak without testimony from either Lillian or Loren. Given the circumstances, Cassler was removed from the shadow of the noose and released from prison on April 29, 1929. Cassler had successfully escaped the death penalty! Had Lillian not died suddenly in prison, it is likely that Catherine would have served a lengthy prison sentence as an accessory to murder. This is not the end of Catherine Cassler's life of crime. On May 30, 1929, four weeks after Catherine's release from prison, the body of a young woman was discovered face down and covered with a thin layer of willow twigs in a swampy area south of Hebron, Indiana, along the Kankakee River in Boone Township. The body was found by Donald McLain and Jack Conley, two boys from Leroy in Lake County, Indiana, who happened to be frog hunting in the area. It was the body of Cammeola Soutar, a 24 year old professional dancer and roller skater commonly referred to as "Cammie" and "Babe." She had been missing since May 27. Ms. Soutar was murdered, her death caused by a single 32-caliber bullet through her heart. No other signs injury or violence were found on the body. Her body was removed to the undertaking rooms of Sievers & Folsom in Hebron. 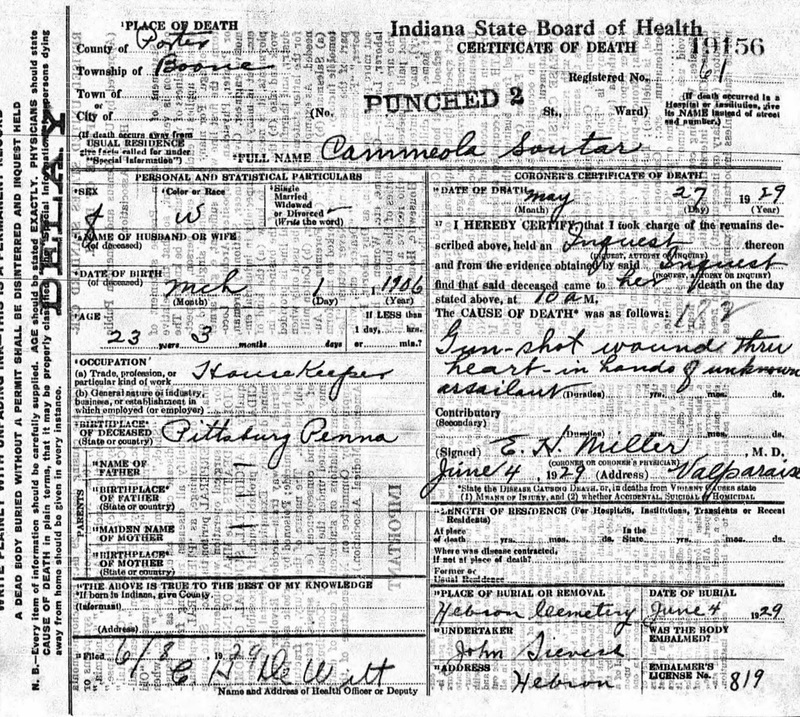 issued for Cammeola Soutar, filed June 4, 1929. Source: Indiana State Board of Health, Division of Vital Records. Cammeola Soutar resided at 423 West 66th Street in Chicago. However, while Catherine Cassler was in the Cook County Jail charged with the murder of William Lindstrom, Cammeola had taken up residence with Catherine's husband, Truman Cassler, as a housekeeper. 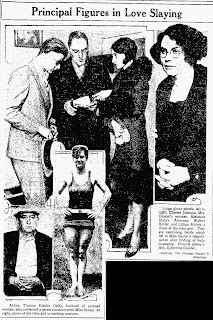 On June 3, 1929, a coroner's inquest was held to determine the cause and circumstances surrounding the death of Cammeola. Coroner Dr. E. H. Miller supervised the inquest in the Superior Court Room at the Porter County Court House in Valparaiso. Illinois Assistant State's Attorney Walker Butler handled the questioning of witnesses and Catherine Cassler given his involvement in the Lindstrom case. Over the course of the day, numerous pieces of circumstantial evidence strongly pointed to Catherine Cassler's involvement in Cammeola's murder. A watch worn by Cammeola was found in Catherine's Valparaiso home. Witnesses testified that they overheard Catherine threatening Cammeola, that Cammeola was at Catherine's residence the day she vanished, and that Cassler was seen in the vicinity of Hebron about the time of Cammeola's disappearance. Truman Cassler readily admitted that he was engaged in a secret romance with Soutar; he stated that Catherine had warned him three days prior to Soutar's disappearance that "You won't be bothered with your sweetie anymore." 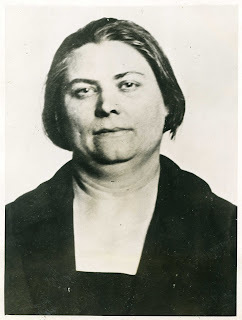 According to testimony, on April 29, the day Catherine was released from jail in Chicago, she had searched for Cammeola, found her, and then "gave her a beating." Afterward, Cammeola had moved back to her home in Chicago. Witnesses stated that Cammeola had gone to visit with Catherine at her Valparaiso home on May 27 to "make her see reason," possibly sensing future danger and trying to make peace. The alleged affair with Truman Cassler was all the more incredible since Soutar was engaged to be married to Chester Johnson, her roller skating partner, on June 25. According to George Soutar, the victim's father, Cammeola had run away from home at the age of 17 because he "was too strict in trying to make her stay at home and behave herself." Details concerning Cammeola's life were provided at the inquest. In October of 1924, when she was 18, Cammeola married Garrett Holderness. Garrett divorced Cammeola in June of 1925 due to cruelty. A child resulted from the union, however, and was boarded out with a family that eventually moved away. Cammeola lost contact with her child. Truman Cassler also testified at the coroner's inquest that when he arrived home on the evening of May 27 he found "such an air of tenseness that he pressed inquiries upon his wife and son." Truman swore that Catherine boastfully told him that Cammeola would never call upon him again "because she has gone away." Truman confronted Catherine at the coroner's inquest. He stated that "You know you pulled a gun on me and Cammie." Catherine responded "That's a lie. I never had a gun of any sort at any time since I got out of jail." Truman then stated that "I saw you in jail and told you I was going to divorce you and marry Cammie and you said we'd never live to get married if you got free. Isn't that right?" Catherine answered quietly saying "That's a lie. I never threatened her or you. I never threatened anybody." During the investigation, it was learned that on May 28 Catherine and her son, Edward, went to Chicago to visit with her sister, Grace Stringham. While visiting, they rummaged through a trunk of clothing that Catherine had left there. Detectives searched the trunk on June 2 and found 12 32-calibre bullets wrapped in one of Catherine's handkerchiefs. Detectives also found a letter at Catherine's home written by Fred Glackin, residing at 6036 Harper Avenue in Chicago, informing Catherine that Cammeola was having an affair with Truman. Another letter found by detectives in Cassler's home was written by Catherine. In the letter, Catherine tells the intended recipient that "she was well aware of the relationship because Cammie had visited her in jail and had taunted her with the fact that she had been living with [Truman] Cassler." She also states in the letter that "only the steel screen between us kept me from getting at her." involved in the Cammeola Soutar murder case. A final piece of circumstantial evidence reported during the first day of the coroner's inquest came from residents of Hebron. They had stated that the old Cassler home in Hebron, which was foreclosed when Truman left for Chicago to assist Catherine in the William Lindstrom murder case, had been lighted up at night for the last two weeks of May. On June 4, the second day of the coroner's inquest, Cammeola Soutar's remains were buried in a "simple casket" at the Hebron Cemetery in an unmarked grave; Hebron undertaker John Sievers handled the burial arrangements. While Cammeola was being buried, Catherine Cassler was on the witness stand at the Porter County Court House to deny any involvement in Soutar's murder. Newspaper reports covering the inquest state that the room was packed with observers and members of the press. Cassler said she did not harm Cammeola. She said she had once slapped Soutar in the face for a remark that she made after being ordered out of the Cassler home. Catherine also testified that she had learned that her husband had a venereal disease, and that he had contracted it from Soutar. the former Hebron home of Catherine Cassler in search of clues, December 1926. While not sure of the day - whether it was Monday or Tuesday - I saw Mrs. Cassler climb into her automobile and drive out of the court where it was parked. I noticed her particularly because I was curious about the woman in the seat beside her. This woman was small and of neat figure. Since seeing pictures of Miss Soutar I am convinced that it was she who went away with Mrs. Cassler. Porter County Prosecutor William W. Bozarth had warrants prepared for Catherine and Truman Cassler, Edward Cassler, the son of Catherine and Truman, and Chester Johnson, Soutar's fiance, prior to the conclusion of the second day of testimony at the coroner's inquest. Porter County Sheriff Burney Maxwell signed the warrants. Immediately after the inquest testimony concluded, Deputy Sheriff Freeman D. Lane escorted Catherine Cassler across the street to the office of the Justice of the Peace. Lane then read the warrant charging Catherine with murder. On June 5, Prosecutor Bozarth filed an affidavit in the court of G. E. Bornholt, Justice of the Peace, charging Catherine Cassler with first degree murder of Cammeola Soutar. Also charged as accessories or material witnesses to the murder were Edward Cassler, Truman Cassler, and Chester Johnson. Additional evidence was collected while the Casslers were held for trial. Edward Cassler was taken to the swamp south of Hebron, presumably to see if any information could be pried from him. In addition, a massive search took place to determine if the gun used to murder Cammeola was disposed of in the swamp. August R. Kueniger, a local farmer near the swamp land, overhead Edward Cassler being asked at the swamp whether he had been on the rarely used road that passed near the swamp, and Cassler replied that he had not. Kueniger interrupted stating "Why, I've seen this young fellow and his mother driving along this road half a dozen times." Kueniger was immediately sworn in as a witness and testified that he knew both Catherine and Edward Cassler well and that he was positive he had seen them traveling on the little used road. At court, Ira C. Tilton, Catherine Cassler's defense attorney, moved that the Casslers be discharged since there was insufficient evidence to place any guilt or to connect Catherine with the killing of Cammeola Soutar. His motion was denied and the case was certified to the Porter Circuit Court and the courtroom of Judge Grant A. Crumpacker. A grand jury was then convened composed of George W. Ferguson and A. A. Williams (Center Township), John Bentley (Porter Township), Louis M. Slont (Liberty Township), William Landsadt (Pleasant Township), and Charles Brust (Morgan Township). After hearing the case, the grand jury issued a murder indictment for Catherine and Edward Cassler. On July 5, 1929, Catherine and Edward Cassler were formally arraigned in the Porter Circuit Court. They entered pleas of not guilty. Defense attorney Tilton again submitted motions for the release of his clients due to insufficient evidence, which Judge Crumpacker denied. By September 30, it was reported that the prosecutors in the Cassler case were having great difficulty in fixing the location of Cammeola Soutar's murder. While the discovery of Soutar's remains in a swamp in south Porter County provided prima facie evidence of a murder taking place within the county, it was thought that the defense would raise enough doubt about the location of the murder so as to convince a jury that the Casslers could not be convicted of murder when the murder may have not taken place within the jurisdiction of Porter County. In other words, the prosecution believed that defense attorney Tilton would convince a jury that Soutar's murder took place outside of Porter County and her body was dumped in the swamp. The prosecution was also reportedly concerned about the cost to taxpayers should the Cassler murder cases proceed to trial, as both the prosecution and defense were being paid through taxpayer funds; the Porter County Council was mandated under the Pauper Act to appropriate funds for the defense of the Casslers. On October 7, murder charges against Catherine and Edward Cassler were dismissed in the Porter Circuit Court based on insufficient evidence. Furthermore, Illinois State Attorney John A. Swanson announced in Chicago that the Casslers would not be held in Illinois for the Soutar slaying, most likely due to a lack of sufficient evidence there. When Catherine and Edward Cassler were released from the Porter County Jail on the morning of October 7, a Chicago newspaper photographer attempted to photograph them. Catherine replied "Aw, go to hell" and walked away. After her release, Catherine separated from Truman Cassler. She reportedly moved to Fillmore, Andrew County, Missouri, to reside with an aunt. Truman briefly lived with his brother Calvin in LaPorte and then his sister in Michigan City. Catherine stated to the press that Truman was willing to live with her, but that she had not given him a definite response. Once again,the dismissal of charges in the case of Cammeola Soutar's murder was not the end of Catherine Cassler's alleged involvement in criminal activity. 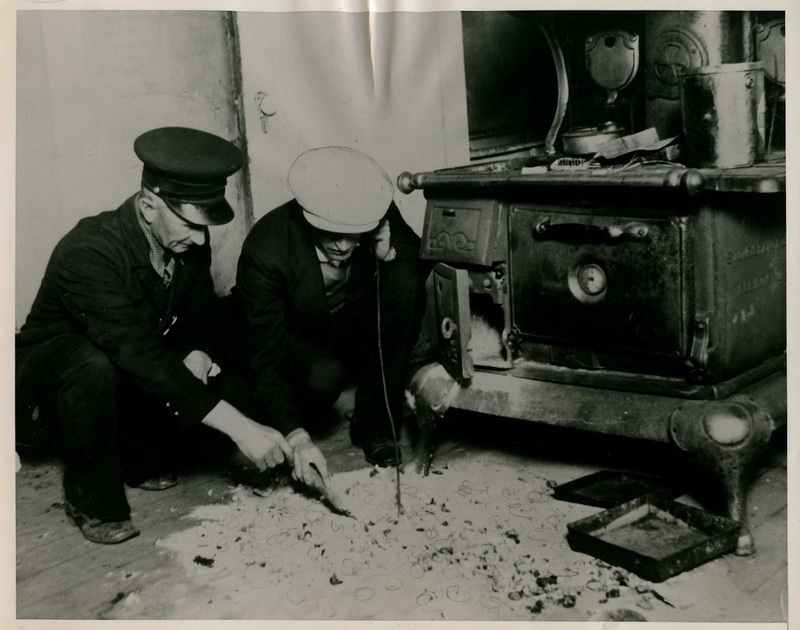 Sometime during the early morning of March 18, 1937, the dead body of Warren Edson Shattuck was found dead in a Chicago alley behind a house located at 6218 Halsted Street; given the condition of the body, it was presumed that Shattuck had died the previous evening. The owner of the house was Catherine Cassler. Warren Shattuck was a boarder at the Cassler house. 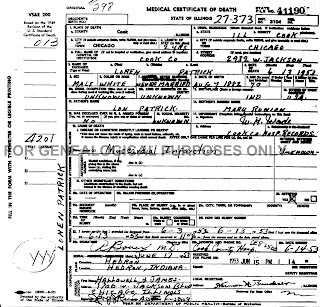 Shattuck's death certificate indicates that his death was caused by a "Skull Fracture due to External Violence" and that the "Deceased supposedly lost balance and fell over banister from 3rd Floor to ground below." The coroner also indicated that the death was "Accidental" rather than suicidal or homicidal. 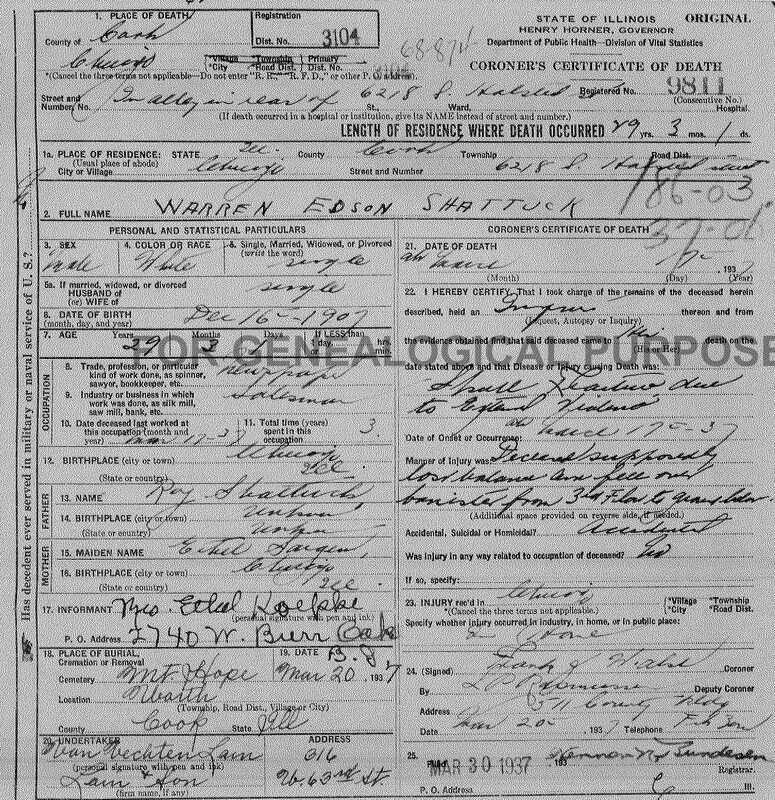 of Death issued for Warren Edson Shattuck, filed March 30, 1937. Given the circumstances, Catherine Cassler was likely not under any great suspicion with respect to Shattuck's death. Cassler's problems arose, however, when she informed the jury members at the coroner's inquest that she was Shattuck's mother and then almost immediately afterward applied as a beneficiary for Shattuck's life insurance as Shattuck's aunt. Cassler was neither Shattuck's mother nor his aunt. Shattuck's parents were Roy Shattuck and Ethel (Sargent) Shattuck Koepke and they were not related to Cassler. Catherine Cassler was quickly taken into custody by the Chicago Police Department. She explained that "He [Warren Shattuck] always called me mother, and the neighbors knew me as his mother. That's one of the reasons I swore at the inquest that I was his mother. The other reason was that I did not want to stir the old trouble." Cassler also stated that Shattuck's stepfather, Hans Koepke, felt she was justified in posing as Warren's mother. Investigators soon learned that Warren Shattuck had purchased two life insurance policies in 1936, the year before his death, totaling $600, which included double indemnity clauses for violent death. The beneficiary of one of the two policies was Catherine Cassler. Cassler informed investigators that Shattuck was short on money and that he had asked for assistance in paying 40 cents a week to pay the premiums on the two policies. Cassler also stated she was unaware that she was a beneficiary on one of the policies until about a week before Shattuck's death. Cassler waived the insurance claim and, quite remarkably, the police discontinued their investigation into Warren Shattuck's suspicious death. Shattuck's death remained to be classified as "accidental." Either Catherine Cassler experienced considerable bad luck during her lifetime or, as is more likely the case, she was the recipient of incredible good luck in having avoided any penalties associated with her involvement in the deaths of William Lindstrom, Cammeola Soutar, and Warren Shattuck. Catherine admitted her involvement in the Lindstrom murder, and the circumstantial evidence of her involvement in Soutar's murder seemed to be overwhelming. Yet, she remained a free woman. Catherine passed away at Englewood Hospital in Chicago due to an acute coronary occlusion on September 19, 1954, at the age of 63. The truth surrounding the deaths of Lindstrom, Soutar, and Shattuck were buried with her. It is unknown when and under what conditions that Catherine and Truman met. By 1910, however, they can be found enumerated in the Federal Census living in a house at 551 61st Place in Chicago (the house no longer exists and is today an empty lot). Interestingly, the census record indicates that Catherine was a 19 year old female who had been married to Truman for five years, which confirms that Catherine illegally married Truman at the age of 14 in Indiana. According to this census record, Catherine was not employed, while Truman was employed as a teamster for a coal company. No children are listed. 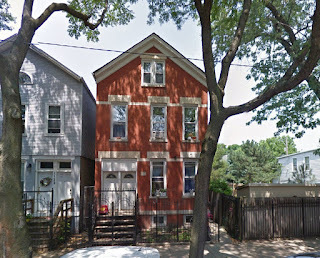 The 1920 Federal Census shows that Truman and Catherine had moved to 246 West 60th Street in Chicago (the house no longer exists and is today an empty lot immediately bordered to the east by an elevated train track). Again, Catherine was not employed in this census record and Truman was now working as a chauffeur. Edward Cassler appears as the couple's seven year old son. 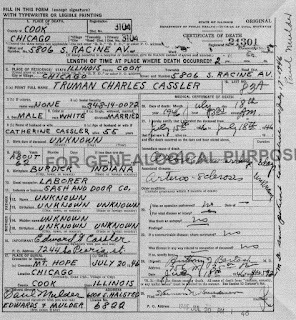 Truman Cassler appears in the 1930 Federal Census living in an apartment building at 6107 Blackstone Avenue (now a commercial structure) in Chicago. Though Truman was listed as married and working as a foreman at a power plant in this census record, Catherine is not residing with him. Where was Catherine in 1930? Catherine Cassler was residing at 637 West 63rd Place in Chicago (now an empty lot) with her 20 year old son Edward Cassler and a 22 year old boarder named Warren Shattuck. Hence, Warren had resided with Catherine for quite some time prior to his "accidental" fall from a third story banister that resulted in his death in 1937. Catherine is enumerated as not being employed, son Edward was employed as a relay adjuster for a telephone company, and boarder Warren Shattuck was employed as a chauffeur for a trucking company. 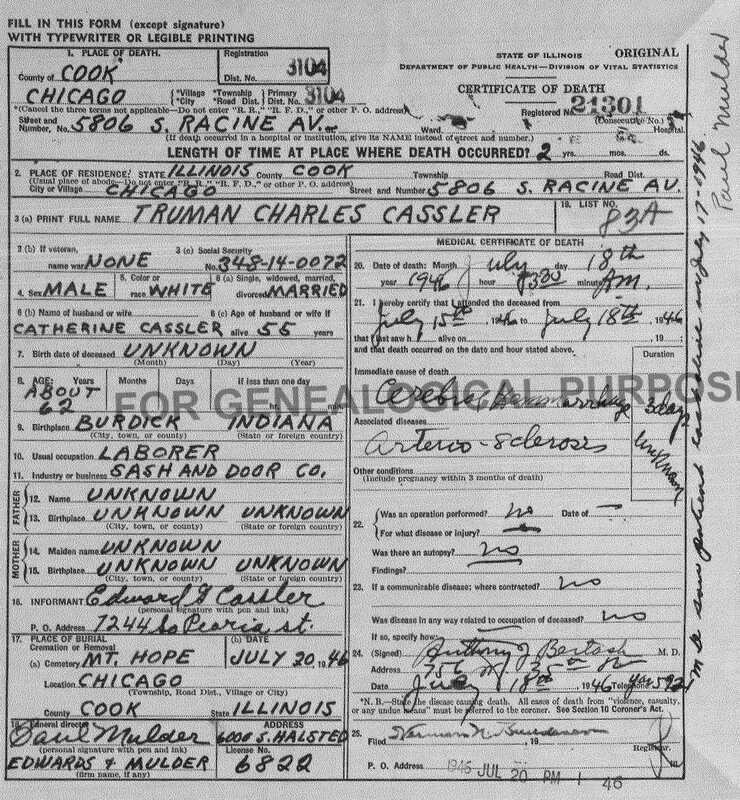 By the 1940 Federal Census, Edward Gilman Cassler (listed as Cassaler) was married to a woman named Flora and had a six year old daughter named Diana; they were residing at 6619 South Sangamon Street in Chicago and, like the 1930 census, Edward was employed as a relay man for a telephone company. After an extensive search, neither Truman nor Catherine could be found in the 1940 Federal Census. On July 18, 1946, Truman Cassler passed away at his home located at 5806 South Racine Avenue in Chicago due to a stroke. He was 55 years old. Truman and Catherine never divorced, and it is believed that they reconciled their relationship prior to Truman's death. 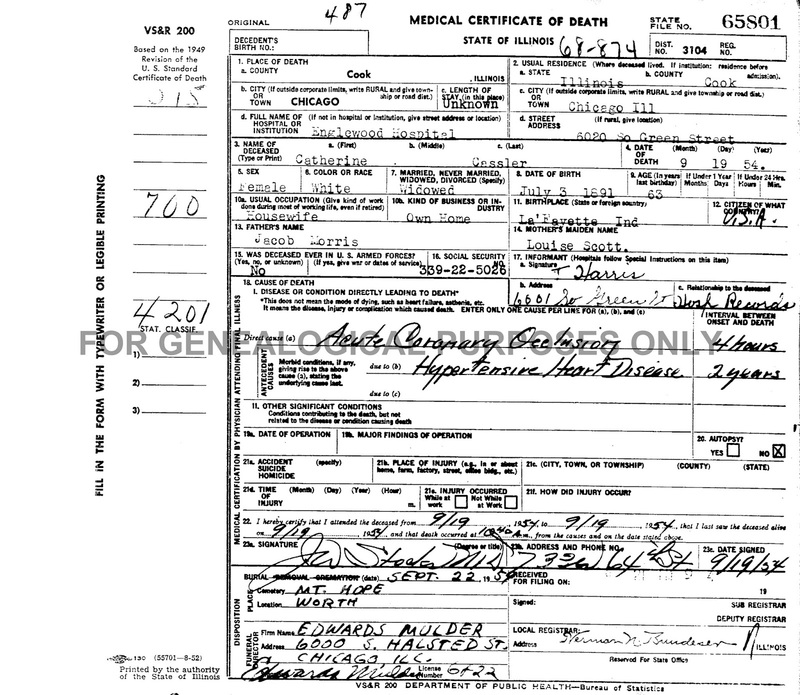 Truman's death certificate lists his wife as Catherine Cassler and the informant of his death as his son, Edward G. Cassler. Truman was buried in Mount Hope Cemetery in Chicago. As stated previously, Catherine passed away in 1954; she was also interred at Mount Hope Cemetery. 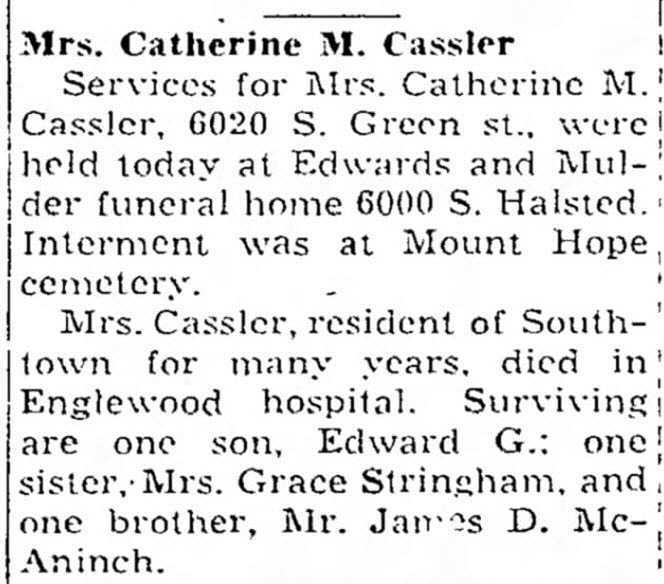 Catherine Marie (Morris) Cassler's obituary. Recall that Loren Patrick admitted to the murder of William Lindstrom and was sentenced to life in prison. 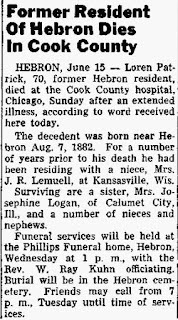 Loren was born August 7, 1882, near Hebron, Indiana, the son of Alonzo "Lon" Patrick and Mary (Runyon) Patrick. Loren was apparently a troubled youth. The 1900 Federal Census reveals that he was residing at the Indiana Reform School for Boys at Plainfield, Hendricks County, Indiana, where he is listed as a17 year old "inmate." By 1910, Loren was living in the household of Milton T. Thiel and Armea "Anna" Thiel in Boone Township, Porter County, Indiana, where he was employed by the Thiel family. 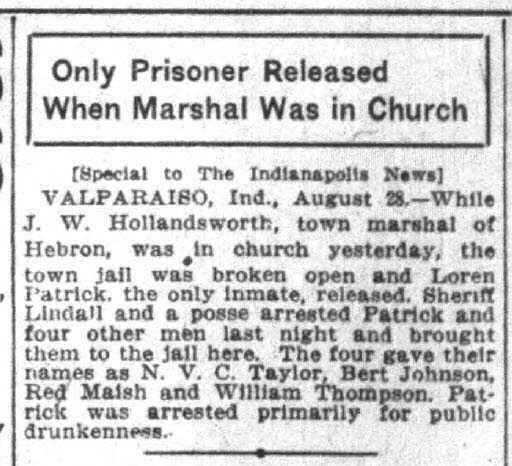 In 1916, Loren was placed in the Hebron jail for public drunkenness and proceeded to escape from the jail when Town Marshal John William Hollandsworth was attending church services. Loren's friends Bert Johnson, Fred Maish, William Robinson, and Ned C. Taylor were later charged with liberating Loren from his cell at the Hebron jail. the town jail in Hebron, Porter County, Indiana. Loren's WWI Registration Card, which was filed in 1918, lists his occupation as "bailing hay" and his employer was Walter Purveen at Hebron. The 1920 Federal Census indicates that Loren, working as a farm laborer, was living in a rented residence on Main Street at Hebron, along with his brother Deforest Patrick. Loren appears in the 1930 Federal Census as a 48 year old inmate residing in the Illinois State Penitentiary at Joliet, Will County, Illinois. A life sentence is a misnomer in Loren's case, however. In July 1950, after serving 24 years in prison, Loren was released on parole. 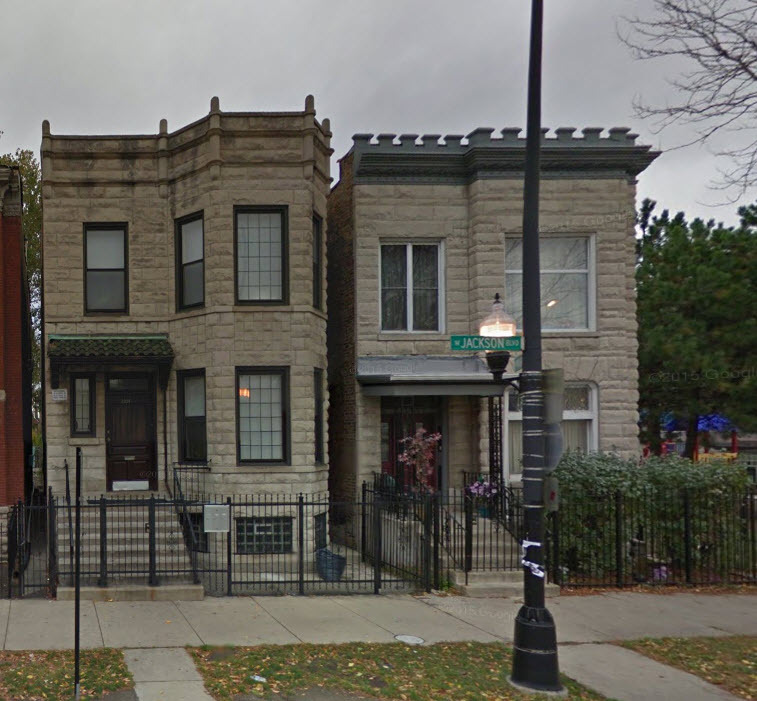 Loren died at the age of 70 due to a heart attack on June 13, 1953, at 2932 West Jackson Boulevard in Chicago, presumably his residence at that time. Interestingly, an obituary published in The Vidette-Messenger makes no mention of the Lindstrom murder or Patrick's resulting incarceration. Like Cammeola Soutar, Loren's remains were interred in the Hebron Cemetery in an unmarked grave. Chicago) is where Loren Patrick died on June 13, 1953. Genealogical information is provided below concerning individuals associated with the Catherine Cassler homicide incidents. Daughter of Jacob E. "Jake" Morris and Louise "Lu Ella" (Scott) Morris McAninch. Note: Catherine was only 14 when she married Truman. 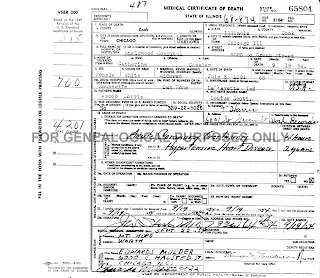 Apparently, she or her family lied about her age when she married Truman, claiming she was born in 1885 rather than 1891.
issued for Catherine (Morris) Cassler, filed September 24, 1957. Son of Calvin S. Cassler [b. 1847. d. 1899] and Maryetta N. (Brewer) Cassler [b. 1857, d. 1934]. Note: After his father's death in 1899, Truman can be found in the 1900 Federal Census residing in Pleasant Township in Porter County, Indiana, with his mother and three brothers (Lyman, Calvin Glenn, and Claude). Truman's occupation in this census is listed as farm laborer, while his mother was employed as a laundress. issued for Truman Charles Cassler, filed July 20, 1946. Son of Truman Charles Cassler and Catherine Marie (Morris) Cassler. Note: During the investigation of the Cammeola Soutar murder, several newspapers covering the story reported that Edward was the adopted son of Truman and Catherine Cassler since Catherine Cassler had mentioned that Edward appeared at their doorstep as an infant and was adopted. In other newspaper accounts, however, Catherine is quoted as stating that Edward was her son by birth and not adopted as some newspapers were reporting. It is believed that Edward was Catherine Cassler's son by birth since a birth certificate does exist in the Cook County Clerk's Office. The adoption rumor may have been created by a newspaper reporter attempting to further sensationalize the murder story and then repeated by other newspapers. Daughter of James Jackson Gray and Hannah C. (Kinsman) Gray. Wife of Joseph C. Fraser, but common law wife of to William Lindstrom while still married to Joseph. 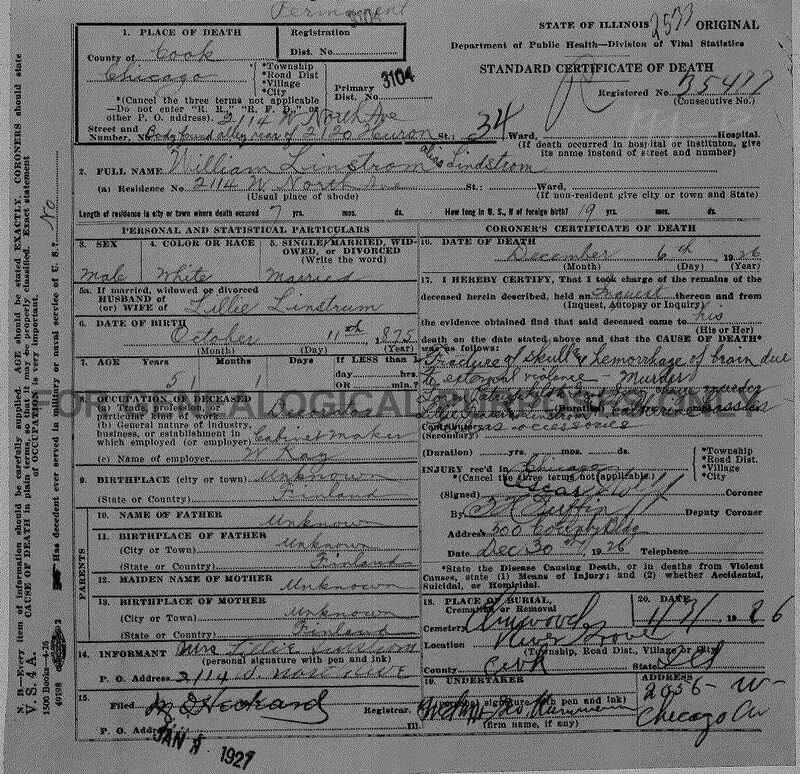 Note: In the 1900 Federal Census, Lillian was residing with her parents in Center Township, Porter County, Indiana. Lillian's parents are buried in Graceland Cemetery in Valparaiso, Porter County, Indiana. 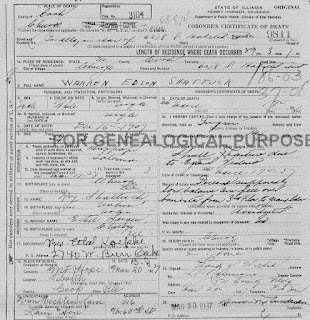 Note: William Lindstrom's death certificate lists his surname as Linstrom. Four death certificates were issued, three of them labeled as "temporary." 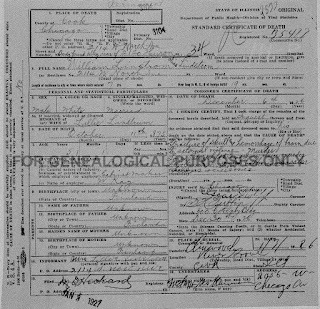 William's permanent death certificate lists Lillie Linstrom as his wife; this individual would have been Lillian Fraser, William's common law wife. 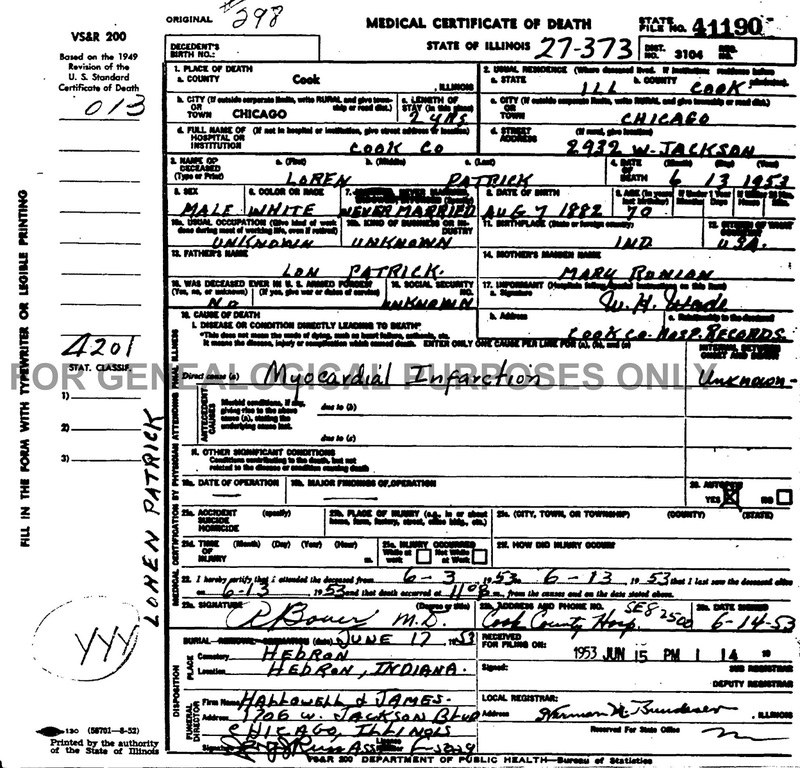 Death: June 13, 1953, at Cook County Hospital, Chicago, Cook County, Illinois; at time of his death Loren was residing at 2932 West Jackson in Chicago. Son of Alonzo "Lon" Patrick and Mary (Runyon) Patrick Dille. issued for Loren Patrick, filed June 15, 1953. Cammeola Soutar, commonly referred to as "Cammie" and "Babe"
Daughter of George Soutar and Mae Soutar. Buried: March 20, 1937, at Mount Hope Cemetery, Chicago, Cook County, Illinois. Son of Roy Shattuck and Ethel (Sargent) Shattuck Koepke. Act of March 6, 1905, Chapter 126, 1905 Laws of the State of Indiana 215, 215-217 (An Act Regulating the Issuance of Licenses to Marry). The Indianapolis News, Indianapolis, Marion County, Indiana; August 28, 1916; Volume 47, Number 228, Page 14, Column 7. 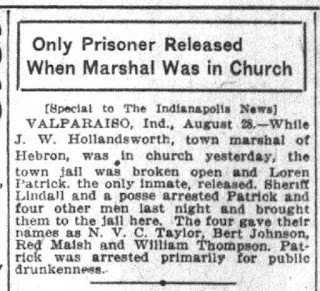 Column titled "Only Prisoner Released When Marshal was in Church." The Indianapolis Star, Indianapolis, Marion County, Indiana; August 29, 1916; Volume 14, Number 85, Page 4, Column 2. Column titled "Four Held at Valparaiso. Charged with Liberating Prisoner from Jail." The Chesterton Tribune, Chesterton, Porter County, Indiana; June 4, 1925; Volume 42, Number 13, Page 8, Column 3. Column titled "Social and Personal." The Chesterton Tribune, Chesterton, Porter County, Indiana; June 11, 1925; Volume 42, Number 14, Page 1, Column 6 and Page 3, Columns 4-5. Column titled "Hebron Booze Raid Issue to Stir County." The Chesterton Tribune, Chesterton, Porter County, Indiana; June 18, 1925; Volume 42, Number 15, Page 1, Column 6 and Page 4, Column 4-6. Column titled "Mrs. Cassler Pleads Guilty, Sent to Pen." Evening World-Herald, Omaha, Douglas County, Nebraska, June 18, 1925; Volume 40, Number 253, Page 1, Column 7. Column titled "W. C. T. U. Woman Pleads Guilty in Liquor Case." The Decatur Daily Review, Decatur, Macon County, Illinois; December 22, 1926; Volume 47, Number 356, Page 1, Column 2. Column titled "Admits Plotting Lindstrom Death." The Hamilton Daily News, Hamilton, Butler County, Ohio; December 27, 1926; Volume 47, Number 244, Page 1, Column 2. Column titled "Dry Shoes Give Clue to Murder." The Southeast Missourian, Cape Girardeau, Cape Girardeau County, Missouri; December 27, 1926; Volume 25, Number 71, Page 2, Column 6. Column titled "Shoes Help to Solve Murder: Slayer Confesses to Clubbing Man to Death for Woman." Jacksonville Daily Journal, Jacksonville, Morgan County, Illinois; May 10, 1927; Volume 61, Number 110, Page 1, Column 3. Column titled "Kills to Pay for Payment of Jail Fine. Slayer Claims Woman Forced Him to Action." The DeKalb Daily Chronicle, DeKalb, DeKalb County, Illinois; May 20, 1927; Volume 27, Number 138, Page 3, Column 1. Column titled "Scaffold the Jury Verdict for a Killing." The Daily Independent, Murphysboro, Jackson County, Illinois; June 6, 1927, Page 2, Column 6. Column titled "Postpone Sentence of Woman Condemned to Hang." The DeKalb Daily Chronicle, DeKalb, DeKalb County, Illinois; June 17, 1927; Volume 27, Number 161, Page 1, Column 5. Column titled "Consider Appeal of Woman from Verdict." Alton Evening Telegraph, Alton, Madison County, Illinois; June 25, 1927; Page 1, column 7. Column titled "Woman to Hang for Murder in Insurance Plot. Wife of Victim and Man Get Life Terms for Killing William Lindstrom for $7500." Carbondale Free Press, Carbondale, Jackson County Illinois; June 25, 1927; Volume 24, Number 118, Page 1, Column 7. Column titled "Woman Slayer to Hang. Sentenced for Insurance Plot Murder in Ind. Judge Gives Woman Death Sentence After Bitter Trial. Called Cold Blooded Crime. 2 Confederates Plead Guilty and Get Life Sentences." Reading Times, Reading, Berks County, Pennsylvania; October 21, 1927; Volume 69, Number 202, Page 1, Columns 6-7. Column titled "Within 24 Hours of Noose Illinois Woman Gets Stay." Belvidere Daily Republican, Belvidere, Boone County, Illinois, October 27, 1928; Volume 35, Page 4, Columns 5-6. Column titled "Sentenced to Hang Reversed." The Indianapolis News, Indianapolis, Marion County, Indiana; November 10, 1928; Volume 59, Number 292, Page 18, Column 7. Column titled "May Gain Freedom." The Vidette-Messenger, Valparaiso, Porter County, Indiana; June 3, 1929; Volume 2, Page 1, Column 8 and Page 8, Columns 1-4. Column titled "Hold Mrs. Cassler in Hebron Murder Case." The Sheboygan Press, Sheboygan, Sheboygan County, Wisconsin; June 4, 1929; Volume 22, Number 143, Page 1, Column 7 and Page 6, Column 1. Column titled "Murder Charge Issued Against Woman: Catherine Cassler is Defendant." The Vidette-Messenger, Valparaiso, Porter County, Indiana; June 4, 1929; Volume 2, Page 1, Column 8 and Page 3, Column 6. Column titled "Cassler on Stand at Today's Inquest. Admits Bitter Feeling for Slain Woman." The Vidette-Messenger, Valparaiso, Porter County, Indiana; June 5, 1929; Volume 2, Page 1, Column 8 and Page 8, Columns 1-2. Column titled "Murder Charge Filed Against Mrs. Cassler. Hold Husband, Son, Fiance as Witnesses. Dead Girl is Laid to Rest at Hebron"
The Chesterton Tribune, Chesterton, Porter County, Indiana; June 6, 1929; Volume 46, Number 13, Page 1, Column 1. Column titled "Mrs. Cassler Again Enters the Limelight." The Vidette-Messenger, Valparaiso, Porter County, Indiana; June 6, 1929; Volume 2, Page 1, Column 8 and Page 6, Column 2. Column titled "May Hold Son of Mrs. Cassler as Accomplice. State Ready Charge Youth with Murder." The Vidette-Messenger, Valparaiso, Porter County, Indiana; June 7, 1929; Volume 2, Page 1, Column 8 and Page 3, Column 4. Column titled "Mrs. Cassler Bound Over to Circuit Court. To Face Trial for Killing Swamp Victim." The Vidette-Messenger, Valparaiso, Porter County, Indiana; June 10, 1929; Volume 2, Page 1, Column 3. Column titled "Grand Jury to Act Upon Cassler Case." The Vidette-Messenger, Valparaiso, Porter County, Indiana; July 3, 1929; Volume 2, Page 1, Column 2 and Page 2, Column 3. Column titled "Bozarth has County Move Before Court. Prosecutor Answers Pleas of Abatement Filed by Attorney Ira C. Tilton in Cassler Cases." The Vidette-Messenger, Valparaiso, Porter County, Indiana; July 5, 1929; Volume 3, Page 1, Column 1 and Page 2, Column 3. Column titled "Casslers in Not Guilty Murder Pleas. Mother and Son Arraigned in Circuit Court After Legal Moves Free Them on Technicalities. Trials Early in September Term." The Vidette-Messenger, Valparaiso, Porter County, Indiana; September 27, 1929; Volume 3, Page 1, Column 7 and Page 3, Column 8. Column titled "More Delay in County's Big Murder Cases. Judge Crumpacker May Grant Continuance in Cassler Cases at Request of Prosecutors." The Vidette-Messenger, Valparaiso, Porter County, Indiana; September 30, 1929; Volume 3, Page 1, Column 8 and Page 3, Column 6. Column titled "Casslers May Not Face Jury. Failure to Fix Place of Murder Upset. Porter County Authorities Admit They are Up in Air about What to Do in Girl Slaying Case. Would be Second 'Break' for Woman." The Vidette-Messenger, Valparaiso, Porter County, Indiana; October 1, 1929; Volume 3, Page 1, Columns 4-5. Column titled "Ira C. Tilton, Counsel for Casslers, Asks for Vindication, Not Dismissal for Clients." The Vidette-Messenger, Valparaiso, Porter County, Indiana; October 4, 1929; Volume 3, Page 1, Column 3 and Page 3, Column 5. Column titled "Casslers to Face Illinois Charges, View. Porter County Authorities are Going to Dismiss Indiana Indictments on Monday Next. Believe Killing a Chicago Crime." The Vidette-Messenger, Valparaiso, Porter County, Indiana; October 7, 1929; Volume 3, Page 1, Column 1 and Page 3, Column 6. Column titled "Parts With Husband; To Skip Chicago. Fears Trouble Despite States of States Attorney Swanson that She Will Not be Re-arrested. Plans to Make Calls on Family." The Vidette-Messenger, Valparaiso, Porter County, Indiana; March 14, 1932; Volume 5, Page 8, Column 1. Column titled "J. E. Patrick Defendant in Divorce Suit." Chicago Sunday Tribune, Chicago, Cook County, Illinois; July 28, 1935; Volume 94, Number 30, Part 7, Page 7, Columns 1-8. Column titled "Find Cook County Juries Kind to "'Lady Killers:' Seven of Every Nine Women Tried for Murder Since 1906 are Acquitted," by Joseph U. Duggan. The Vidette-Messenger, Valparaiso, Porter County, Indiana; March 22, 1937; Volume 10, Page 1, Column 8 and Page 2, Column 3. Column titled "Police Seize Mrs. Cassler. Held for Quiz in Death of Young Roomer. Former Hebron Woman, Involved in Two Previous Murders, Applied for Insurance Money. Escaped Noose by Inches in 1927." The Vidette-Messenger, Valparaiso, Porter County, Indiana; June 6, 1939; Volume 12, Page 4, Column 7. Column titled "Ten Years Ago, June 6, 1929." The Vidette-Messenger, Valparaiso, Porter County, Indiana; October 23, 1942; Volume 16, Page 4, Column 5. Column titled "Fifeen [sic] Years Ago, Oct. 23, 1927." The Vidette-Messenger, Valparaiso, Porter County, Indiana; July 24, 1950; Volume 24, Number 16, Page 1, Column 4. Column titled "Man's Parole Recalls Old Murder Case." The Vidette-Messenger, Valparaiso, Porter County, Indiana; June 15, 1953; Volume 26, Number 291, Page 6, Column 5. 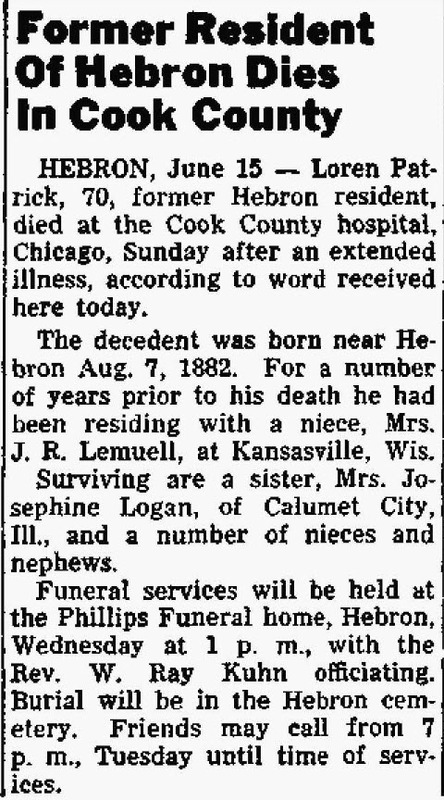 Column titled "Former Resident of Hebron Dies in Cook County." Southtown Economist, Chicago, Cook County, Illinois; September 22, 1954; Volume 53, Number 69, Page 23, Column 7. Column titled "Obituaries. Mrs. Catherine M. Cassler." 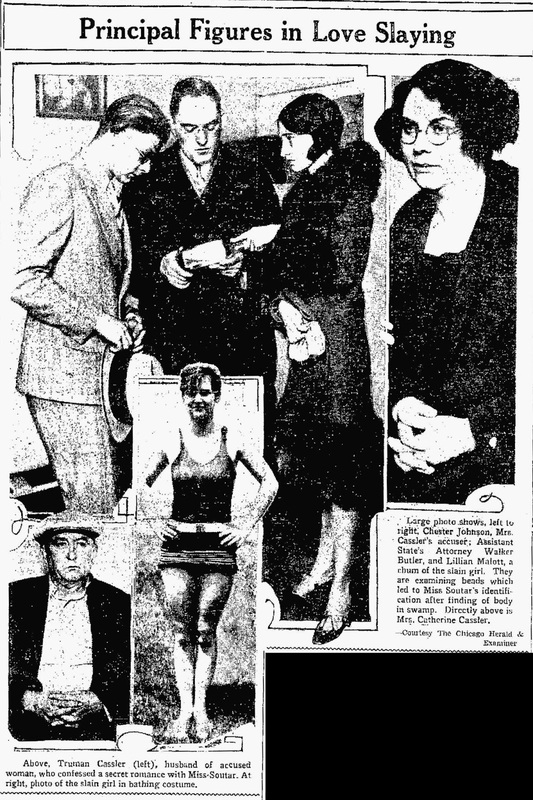 New York Daily News, New York, New York County, New York; October 21, 2012; Column titled "Justice Story: Chicago's 'Lady Luck' Catherine Cassler's Dark Run of Death."